Technology companies traditionally prefer office buildings that are close to universities and other ICT companies they cooperate with. One of Budapest’s most sought-after office submarkets is South Buda where the Science Park office building welcomes its newest tenants – AVL AUTÓKUT Mérnöki Kft., Flex, Hydro Extrusion Hungary and Solvo Biotechnology, renting together more than 4,300 sq meters of prime office space. Hungary’s information and communications technology (ICT) sector is booming as it generates nearly 5 per cent of the GDP while it employs only 2.5 per cent of the labour force, according to KSH National Statistical Office’s data of 2016/2017. The high contribution of the Hungarian ICT sector (between 7-8% according to the IVSZ ICT Association of Hungary) to the entire GVA (Gross Value Added) places Hungary in a dominant position, among countries like the UK, Ireland or Sweden leaving behind many other European Union countries. This trend is likely to persist as the younger generation chose informatics in a higher proportion than before; in 2010 only 3 per cent of the high school and university students attended information technology courses, while in 2016 this portion grew to almost 7 per cent. The increase of the Hungarian ICT sector reflects the data of CBRE on the Budapest office market, as in 2016 and 2017 103 ICT companies signed leases on more than 110,000 sq meters office space. Beside the Váci Corridor and Central Pest, South Buda is the most important area that ICT companies target for their new headquarters; the close proximity to Budapest University of Technology and Economics, ELTE Science Faculties and the Corvinus University support the companies when recruiting new professionals. Beside the higher educational institutions, a large number of ICT companies attract other industry members to rent offices close to each other in order to increase their productivity and collaboration. AVL AUTÓKUT Mérnöki Kft., Flex, Hydro Extrusion Hungary’s Shared Services and Solvo Biotechnology have chosen Science Park Office Building when renting together more than 4,300 sq meters of prime office space. “For Solvo the location of Science Park is ideal due to its close proximity to various universities and the Hungarian Academy of Sciences, which is a key collaborator for us. 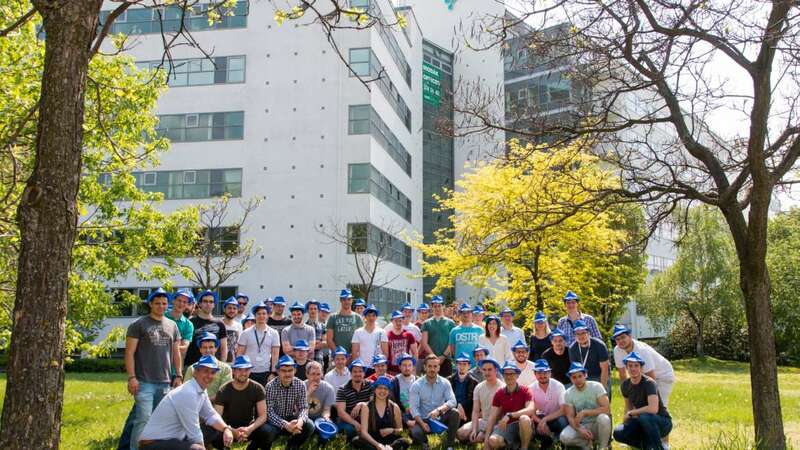 In addition, the building’s excellent facilities and its central position in Budapest were key factors for Solvo to build its new laboratory at Science Park”, Berend Oosterhuis, Chief Operating Officer at Solvo said. “Science Park office building is a perfect choice for us; the proximity of Budapest University of Technology and Economics and our technology partner companies will support us to attract young professionals and to maintain common research and cooperation. Moreover when we made the decision about our new office it was also important that the building is easily accessible to all our colleagues by public transport and even by bicycle,” László Sajben, Software Department Manager at AVL AUTÓKUT Mérnöki Kft. stated. “As demand for our Sketch-to-Scale® product design, engineering and manufacturing services grow, it is important for us to have modern offices which are centrally located, with easy access for customers and employees. The proximity to third level education institutions makes us an even more attractive prospect for graduates starting their career, and offers greater opportunities for collaboration between business and education. Science Park was an obvious choice for Flex.” – Fabio Zuliani, Flex Design Center Director said. “Science Park office building is currently undergoing a major refurbishment and will continue its role as one of the information & technology centres in South Buda office submarket with its remaining 12,000 sq meter of available A-category office space, being a unique opportunity in the sub-market and Budapest overall”, Judit Varga MRICS Head of Office Agency at CBRE added.